So I mentioned awhile back that we were eating a bit differently lately. While I feel like I’m mostly healthy eater, I enjoy pizza, pasta and bread often! And don’t even get me started on beer! The gym where Jordan and I work out offers these weight loss challenges on a regular basis and even though I’ve worked out there for almost three years, I’ve never taken part in one – until now. However, I didn’t do it to lose a bunch of weight. I did it to see if I could actually do it, and also to try something new with my eating. I went through a difficult period of time where I was bedridden due to chronic pain issues. After months on pain meds and more tests and doctor appointments then I care to recall, I was still in pain and my liver was damaged due to the meds. After months of pain, tests and meds; one doctor suggested that I might have an autoimmune disease. By then I was so over doctors and I decided to do something different. I started moving more – moving even though I was in agony, and you know what? It worked! I’m off all meds and feeling really well. I remember about four years ago going to my first stand up paddle board class and crying because I was able to do it. It was such a turning point for me. I started walking slowly around our house, and then eventually adding more distance and speed and after almost a year of that I got up the nerve to join a boot camp for one month on a Groupon. I was weak and so afraid to get hurt, but I kept going. It’s been the best thing for me. I love it and I feel like it has made such a huge difference in my overall health. Over the past several months I have really increased my training. I still go to boot camp four mornings a week but I started incorporating yoga once or twice a week along with some serious hikes. Jordan and I are heading out on the JMT in July and I needed to get trail ready. We did a portion of the JMT last summer, but our goal this year is to do the whole thing. So I needed to get myself ready. One of the ways I am doing it it is by eating as healthy as I possibly can – fueling my body well for all the hard workouts. We cut all processed sugar, flour, grains, pasta, beans etc. I was a little worried if I’d be able to do it, but it was easier than I thought and the results have been amazing. I feel so much better. I don’t have the stomach aches that I had before, my energy level is higher and I’m drinking less coffee. My pain levels are much lower too. The six week challenge ends this week, but I plan to keep up a lot of the dietary changes. I will still eat pasta, bread and pizza – but just not as often as I did before the challenge. So with all of that said – here is a recipe I made the other day to go along with our new way of eating. We roast a lot of veggies, eat a lot of salads and grill fish and chicken. But I got it in my brain that I wanted to make kebabs but with sausage pieces. I found some amazing and delicious chicken sausages at Costco that were organic, gluten free and nitrite free. They were flavored with spinach and red peppers and were delicious. Thread the chicken, peppers, and onions onto water soaked wooden skewers. Spray lightly with olive oil or coconut oil spray and grill until everything is heated and has a bit of grill marks on it. You can add any veggies you like such as squash, mushrooms etc. 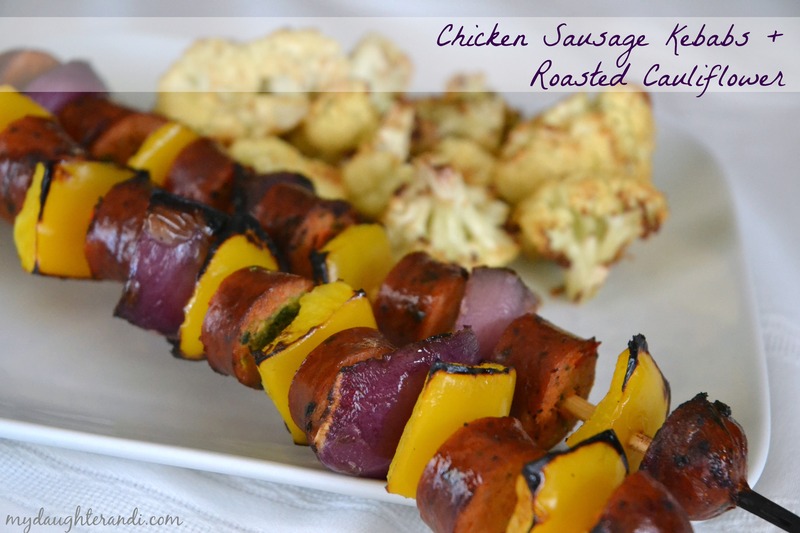 Because the sausage is precooked, this meal just takes minutes to heat on the grill. You can make this recipe with almost any veggie – it is definitely a favorite around here. 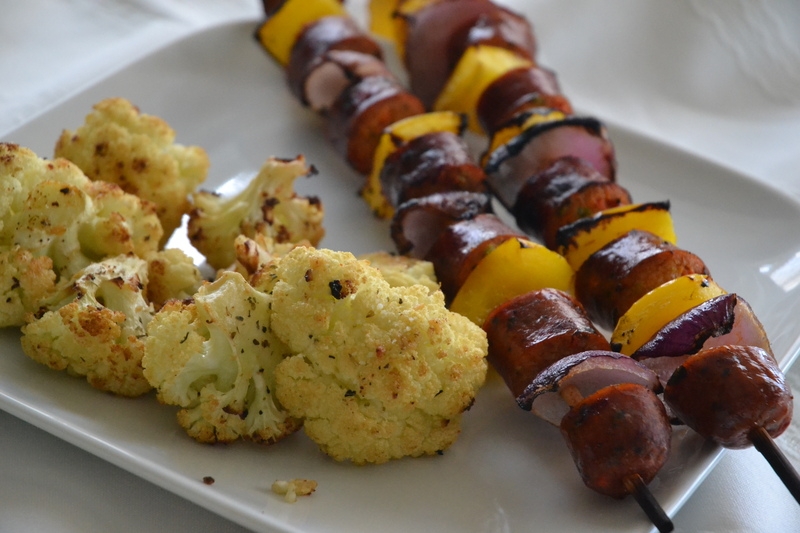 I have made a yummy combination of cauliflower and broccoli before and we also follow this basic recipe when roasting asparagus, Brussels sprouts and even butternut squash. I started the cauliflower first and got it roasting so everything would be ready at the same time. 1 head cauliflower, cut into chunks. Preheat over to 425* and put the oven rack on the upper third of the oven. Line a baking sheet with foil. Put washed, cut veggies on tray. Drizzle with olive oil and then sprinkle on the garlic, seasonings of your choice, grated Parmesan cheese. Toss to cover and stick into a preheated oven. Stir veggies after about 10 minutes and keep checking on them. You want them to brown up a bit – but don’t over cook them. I usually cook mine for about 20 minutes. That seems to be a general trend around here, doesn’t it? Between my mom and I, we subscribe to a lot of different blogs- food, fashion and everything in between. It’s awesome to see what other blogger’s are up to- it’s so inspiring! A handful of blog posts that popped up in my inbox this week were so great that I just had to share them with you all. And it just so happens that many of them are food related. So get ready to drool- hope you enjoy! Doesn’t this look and sound absolutely incredible? 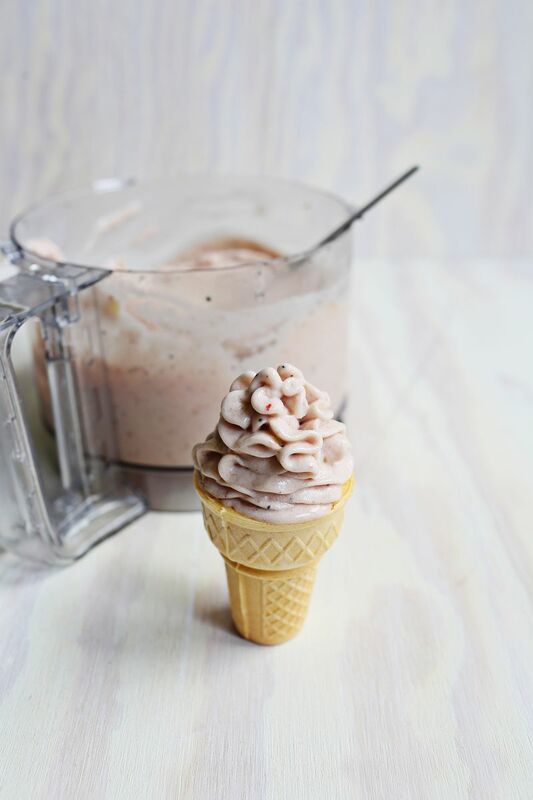 You might remember a similar post on our blog- Banana Ice Cream. 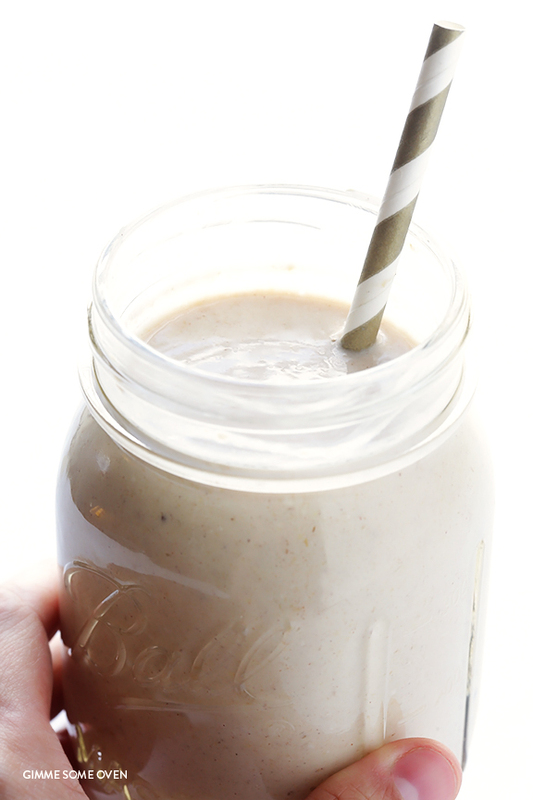 It’s a total hit during the summer- easy, healthy and delicious! That great thing about this post from A Beautiful Mess is that they include a ton of great ways to mix up the basic recipe. I’m not a crafty person- it’s just not one of my strengths. I loved this DIY post from Skunkboy blog though- so many cute ideas! 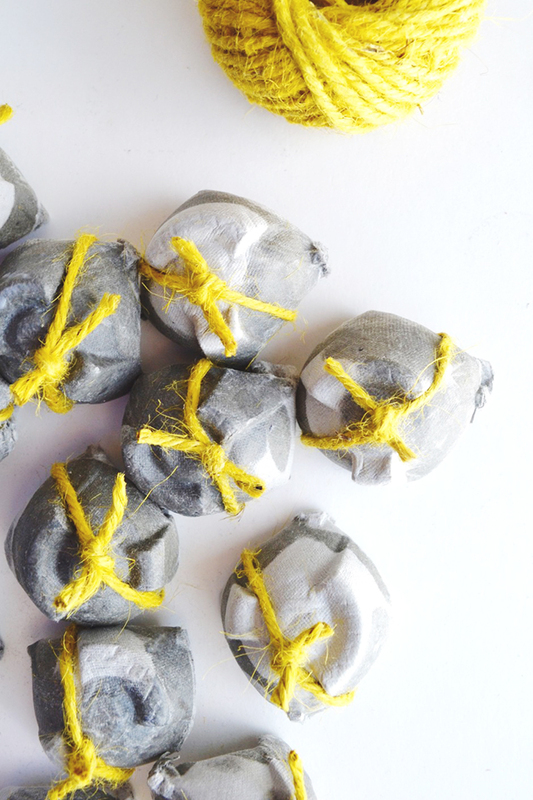 I especially love the homemade fire starters (shown above). Also, the colorful backgammon game is amazing! Oh my goodness. 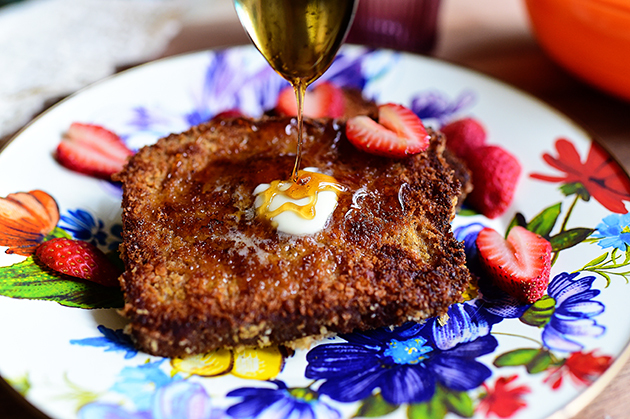 This Crunchy French Toast looks like heaven- french toast battered in sweetened panko and then cooked in butter…yummmmmm. Proverbs 31 Ministries: Why Did This Happen God? 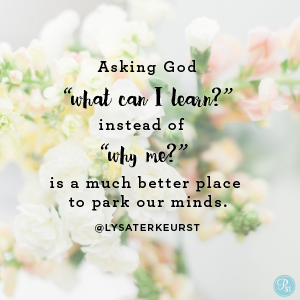 Lysa Terkeurst’s devotions are awesome- I’d highly recommend checking them out. I especially loved what she had to say about Philippians 4:12-13- a verse that can sometimes be tough to swallow, and is always tough to live out. Worth the read. That’s it for today- have an amazing weekend! Jordan made these cookies the other day and we both thought they were great. They aren’t the prettiest cookies ever, but they were tasty and super simple to make. No butter, no flour, whipped up in one bowl in about five minutes! Why wouldn’t you give them a try? Crack the egg into a medium bowl and beat it lightly. Add in the almond butter, vanilla, baking soda, and sugar and mix everything together well. Fold in the chocolate chips. Scoop the dough onto a parchment or silpat lined baking sheet. I use a (1 3/4 inch) scoop, but you can use a tablespoon. Space the cookies well apart, and flatten them slightly with the back of a spoon. Bake for 8 to 10 minutes. Don’t overbake these, the cookies will look underdone, but they will firm up as they cool. Let them cool for a couple of minutes on the baking sheet, then transfer them carefully to a cooling rack. 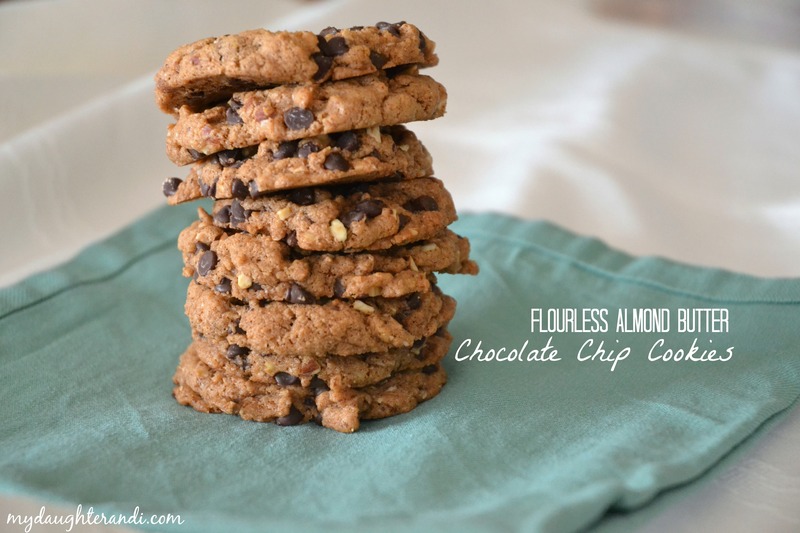 Because we used a crunchy almond butter the cookies had a definite “healthy” look to them. 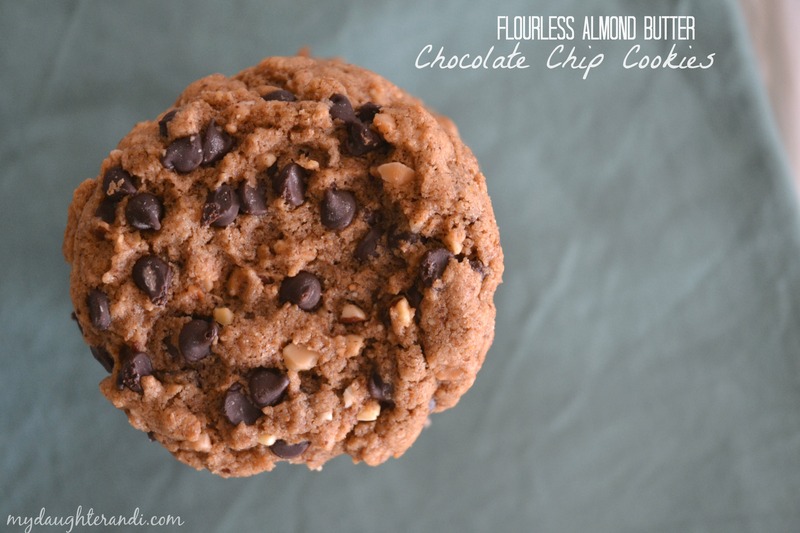 I loved the extra texture, but if you’d prefer a little less texture, I would recommend using a smooth almond butter.